Easter weekend has come and gone. Many Christians made their way to theaters this weekend to see faith-based films such as Paul: Apostle of Christ, I Can Only Imagine, and God is Not Dead: A Light in the Darkness. But what was missing from the line-up was a high-budget film starring major stars Rooney Mara, Joaquin Phoenix, and Chiwetel Ejiofor. And that was Mary Magdalene. Controversial as it already is with overseas audiences, receiving mixed reviews from critics and many commentators arguing over the accuracy and relevance of the film’s depiction of the title character Mary of Magdala, the film had promised to be a mainstream film about a Christian figure. While there is much discussion to be had about the film itself, I’m not here to argue about any of that. I just wanted to answer the big question: Why is Mary Magdalene not showing in theaters here in the US? Following the Weinstein scandal in October, the biblical epic directed by Lion director Garth Davis has since canceled its US release date, and at the time of this article, has yet to find another distributor, meaning that it may never be on the big screen in the US. So looking back at the film timeline, let us see how we got here. In February 2016, it was announced Universal International would distribute the film worldwide, except for the US, New Zealand, and Australia, where The Weinstein Company and Transmission Films would distribute, respectively. After filming in late 2016, the film was originally scheduled to be released in the United States and Canada on November 24, 2017, but in August 2017 (prior to the Weinstein scandal) the release was pushed back to March 30, 2018, aiming at an Easter audience. But following the Weinstein scandal in October 2017, three months later, in January 2018, the feature was pulled from the schedule entirely. In March 2018, it was announced The Weinstein Company would no longer distribute the film, and that the producers were attempting to find another distributor to release the film. And on March 19th, The Weinstein Company officially filed for bankruptcy. But How Much Was the Weinstein Company Actually Involved in ‘Mary Magdalene’? To be honest, not much. What you have to understand is that The Weinstein Company in recent years has truly embraced its role as a ‘mini-major’, meaning that even as a production company, it has the capacity to handle distribution like major studios. Studios and mini-majors are powerful mainly because they have the capacity to handle distribution, rather than solely development and production as most production companies do. But in the case of The Weinstein Company, many of their films in recent years simply had their name attached, and the company would handle some of the distribution and financing. Since 2010, TWC has ‘released’ more than 90 films, the top five of which grossed more than $1.5 billion internationally according to Box Office Mojo. The average production company focuses on a few features a year, which would equal 10-20 in seven years. Even other mini-majors like Focus Features, Working Title, and Annapurna, typically release 50-60 films in that same time frame. 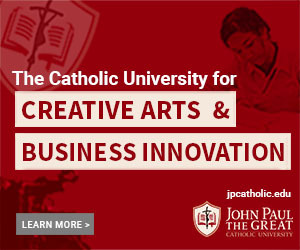 But such as in the case of Mary Magdalene, the mini-majors will only handle US distribution, and turn to the major studios for international distribution. 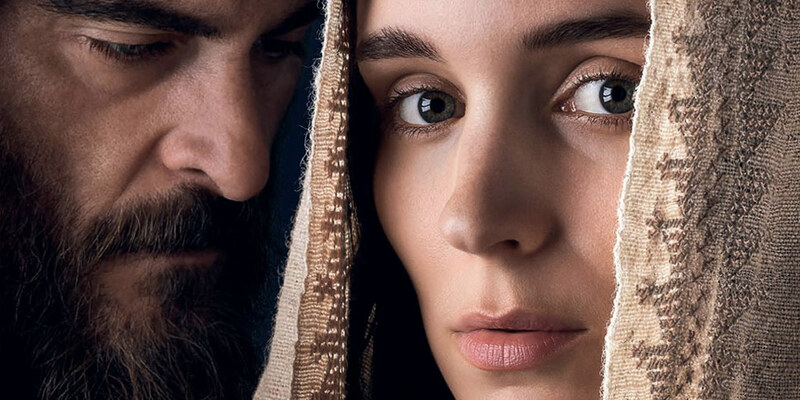 Universal International and TWC were distribution partners on Mary Magdalene, with The Weinstein Company handling US distribution and Universal International handling much of the international distribution, such as the UK, France, Germany, Spain, Netherlands, Argentina, and Greece. That is why the film has been released in other international territories, but not the US. Meanwhile, the production company that was actively involved with the creative development was See-Saw Films, headed by Iain Canning and Emile Sherman, which has been behind films like The King’s Speech (2010), Macbeth (2015) and Lion (2016). Producer Liz Watts and her banner Porchlight Films were also creatively invested. What Happens Now That Weinstein’s Are Out? After the US release date was pulled due to state of The Weinstein Company, other distributors including Fox Searchlight, Focus Features, Sony Pictures, Pure Flix Entertainment, Roadside Attractions and Netflix were in negotiations to distribute, but none have come through so far. But with the recent news of TWC officially declaring bankruptcy, the future seems bleak. In an interview with Screen Daily one month ago, director Garth Davis explained the conflict: “It’s awful… Our film celebrates everything that is the antithesis of what’s happened [with Harvey Weinstein]… So my main focus is just to celebrate Mary and get her story out into the world. That’s my absolute mission… Right now my producers [Iain Canning and Emile Sherman of See-Saw Films, and Liz Watts] are working very hard to find a way to release the movie over there [in the US]… I know they’re working night and day on it at the moment… See-Saw are my creative people… It wasn’t like I was working with Harvey directly.” But although TWC may not have been creatively involved, they still were attached and have rights to the film. What is also sad is that this was the last film scored by composer Jóhann Jóhannsson, who tragically died February 9th, and had previously scored films like The Theory of Everything, Arrival, and Sicario. And Mary Magdalene is not the only film whose fate hangs in the balance. Over 40 projects that were set to be distributed by The Weinstein Company have been in limbo for months. With the lawsuit against TWC by New York Attorney General Eric Schneiderman, many producers told IndieWire that it “blew up” their hopes of retrieving work that was now “stuck” at TWC (and this was prior to the bankruptcy filing). The producers of Hotel Mumbai announced yesterday that given they withdrew their contract following the Weinstein allegations, they are now filing petitions demanding that their movie be left out of The Weinstein Company bankruptcy sale. Unfortunately, many films are too far involved now. So now we will wait and see what the fate of Mary Magdalene will be. Given the controversies surrounding the film, perhaps it is better the film hasn’t made it to US theaters. But personally, I hope that it does make it to the US, just so that Christian audiences and non-Christian audiences alike can have further discussions about one of the most influential and important female figures in the Bible.